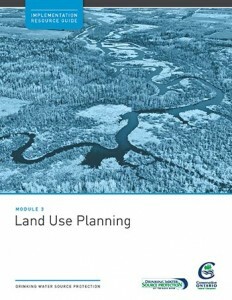 Staff at the Ministry of the Environment and Climate Change have developed a guidance document to support source protection staff at conservation authorities who are working with municipalities to update land use planning documents (i.e. 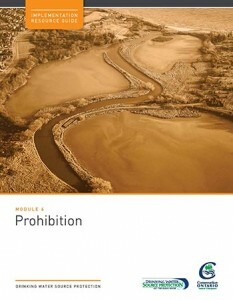 official plans and zoning by-laws) to include source protection considerations. 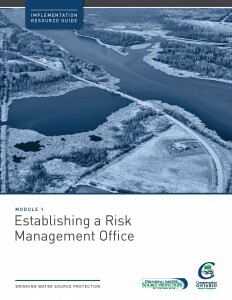 The document requires familiarity with the Clean Water Act and source protection. 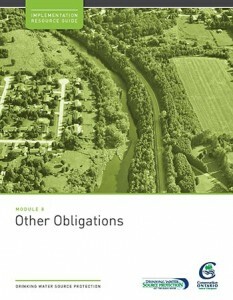 Conservation Ontario and the Ministry of the Environment, Conservation and Parks has developed a resource catalogue containing sources of information on source water protection topics to assist municipalities with education and outreach initiatives across Ontario. 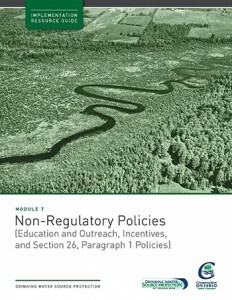 Conservation Ontario and staff at conservation authorities have developed resource guides to support the implementation of source protection plans across Ontario. 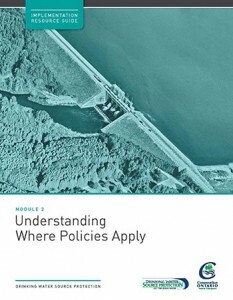 The Implementation Resource Guides cover a variety of topics related to plan implementation (e.g. 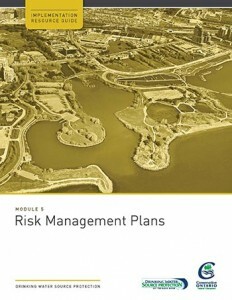 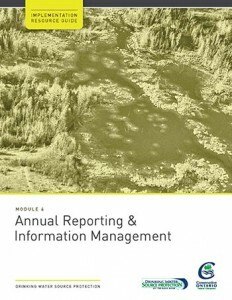 land use planning, reporting, and risk management plans).